La Cala de Mijas is a beautiful old fishing village in Mijas Costa of the Costa Del Sol, Andalucía, Spain, with roundabout fountains and beautifully manicured trees it is very clean and tidy and a place of popularity. 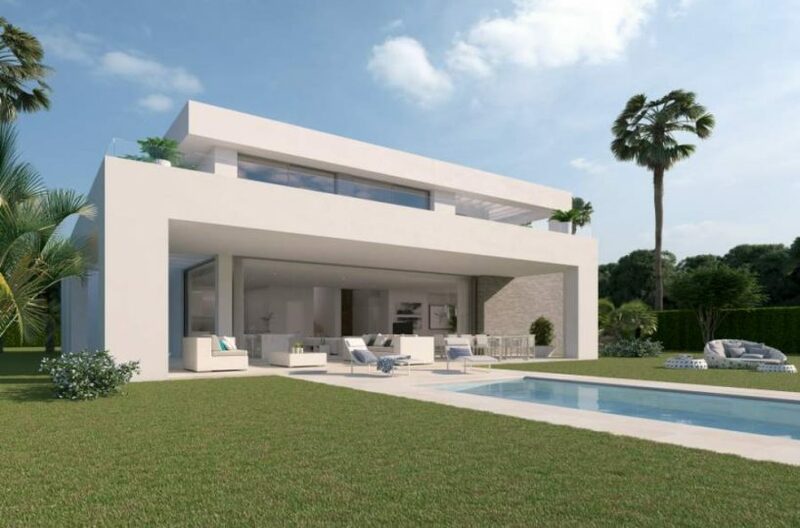 It is based in-between the towns of Marbella and Fuengirola and is surrounded by the urbanisations of Riviera del Sol, Miraflores, Torrenueva and Calahonda. With an average of 300 days a year of sunshine and just a 30 minute drive from Malaga airport, its situation is ideal for residents and holiday makers alike. 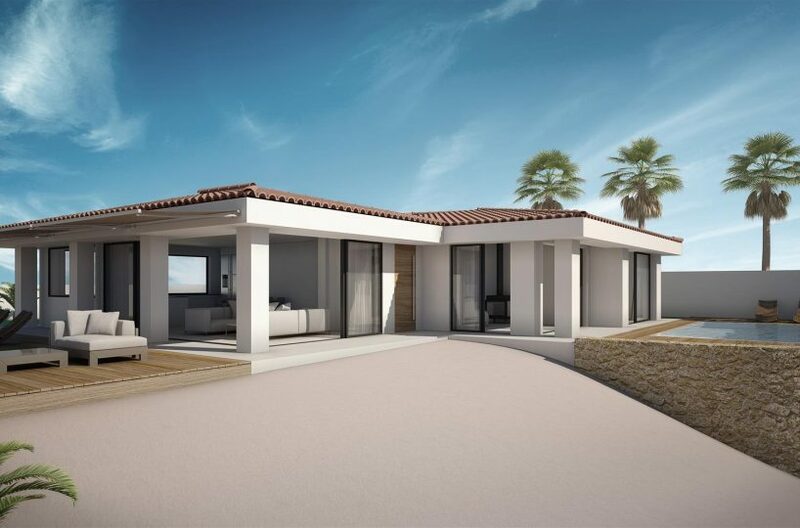 There are plenty of highly desirable properties in La Cala de Mijas and New Development is on the rise due to popular demand. 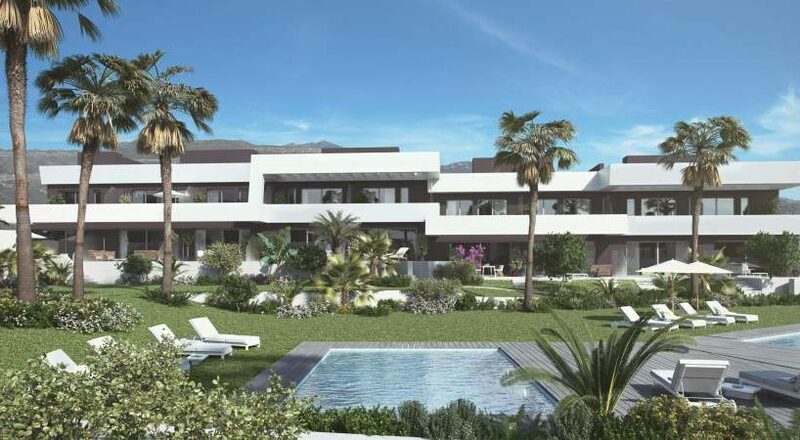 Within La Cala de Mijas you will find a good range of properties from studios, apartments, penthouses, townhouses and many new build townhouses and luxury detached villas catering for the wide variety of people who live or visit the urbanisation. 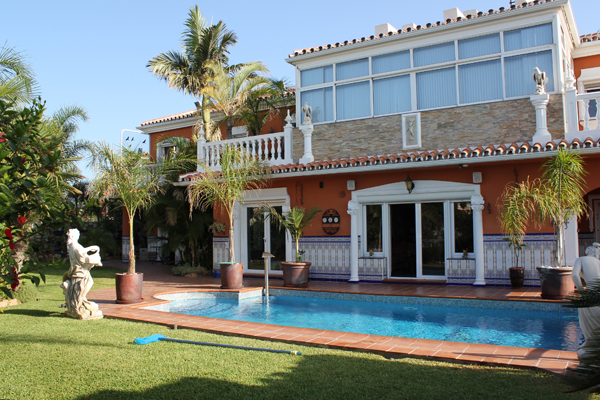 La Cala de Mijas is split into separate phases and each phase has its own president. Each complex pay grand community fees to the phase they are based in and this money is used to pay for work and maintenance for that part of the urbanisation for example work on the roads, street lights, making the area look nicer etc. La Cala de Mijas is a vibrant village with a good mix of age groups, residents, holiday makers and a variety of nationalities. Within the urbanisation you will find something for everyone, from bars and restaurants, Supermarkets, Pharmacists and an 18 hole golf course. Along the coast of the Costa del Sol you will find a huge number of restaurants, bars, shopping facilities, beaches and general fun for all the family. La Cala is the ideal place if you are planning to live in Spain due to its year-round entertainment and facilities, even when it comes to the simpler things like getting a nursery or school for the kids to getting your hair cut, watching British satellite TV, or even buying furniture, La Cala de Mijas serves it all. If you drive only 5 minutes inland you can find some amazing Fincas and Cortijos in the distant mountain that look upon some of the most beautiful golf courses in the Costa Del Sol. The town has everything you need for day to day living including large supermarkets like Aldi, Lidl, Mercadona and Super Sol. There are plenty of other shops on La Cala such as garden centres, Ice Cream parlours, DIY shops and a 24-hour pharmacy. There is a weekly market every Saturday and Wednesday selling everything from your local fruit and veg to clothing and jewellery. There are a number of activities right on your door step in La Cala de Mijas…. The Town Hall in La Cala de Mijas run Spanish classes to residents and non-residents alike so that the community can take advantage of learning the Spanish language. Lessons are taught by Andalusian Spanish teachers so you can learn how the locals speak and their culture. La Cala de Mijas has its own sports centre that covers many activates for both adults and children throughout various destinations in the Mijas Costa. They have activities such as tennis, football, volley ball, rhythmic gymnastics, and a gymnasium for adult to keep fit and healthy. They also run swimming lessons in las Lagunas, Fuengirola and classes at the local schools for roller skating, basketball and football. They work with the Hipódromo to provide athletics to Both adults and Children to keep all the family fit and Well and what more, these activities for adults and children are at fantastic prices. Situated up in the hills of La Cala De Mijas holds the only horse racing course on the Costa Del Sol called Hipódromo Mijas Costa, It’s there that some of the best Irish, British and French Race horses reside. As Expected horse racing in the main event at the Hipódromo but it is not the only one, they celebrate all kinds of events like musical events, fairs and flea markets, adventure tourism and art exhibitions, and even provide sports facilities for the local Sports centre of La Cala de Mijas. There is a large selection of bars and restaurants to be found in La Cala de Mijas with a nice variety of cuisine, from British style Cafes serving Full English Breakfast and full Sunday Roasts, I Know what you’re thinking, ‘Why would I have English food in Spain, well if you live out here and don’t have a Sunday Roast every week you may think differently. There are plenty of Spanish restaurants serving seafood Paella and Typical Spanish food and drinks. There are Sports bars for the sportsmen or an Irish bar for that electric atmosphere and at a very reasonable price. Restaurant and Bar owned by former TOWIE star Elliot Wright who is cousin of the Famous celebrity Mark Wright from The Only Way is Essex TV Series, the restaurant serves high quality food and Stunning Cocktails, is has fantastic atmosphere and a relaxed beach side dining experience. Elliot Wright also Owns a Terrific fish and chip shop situated in the centre of La Cala. The village has beautiful sandy beaches with many water sports for an entertaining day and an amazing walkway made from decking, built up on stilts to make the most of the captivating views that runs all along the coast from La Cala De Mijas through Torrenueva, Miraflores, Riviera del Sol and just past Calahonda Linking all the little villages together. The beaches are dog friendly throughout the year apart from during the high season, although there is nothing stopping you from strolling along the walkway with your pet at any time of year. There are amazing typical Spanish Chiringuitos along the walkway some of which are open year-round serving some of the best Spanish food and drink on the coast. Within the centre of La Cala de Mijas there is a local taxi rank and bus stop to connect all our local areas together. Also with the village centre there are many banks, a local town hall and a police station. With good access from the A7 on the Costa Del Sol, Malaga Airport is only 25 Minutes’ drive. You can drive to Fuengirola in only 10 minutes’ or there is a local Bus service that can take you to either Fuengirola or Marbella in no time at all. 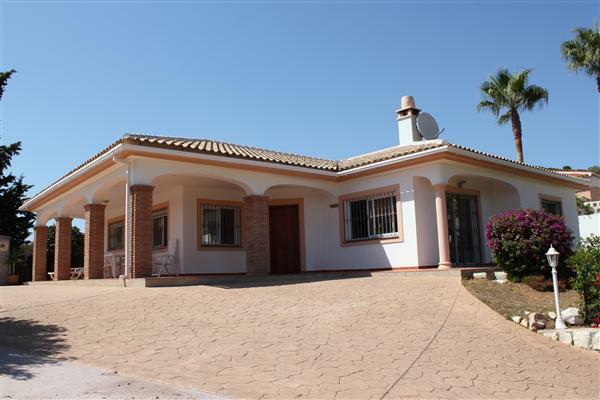 The Calanova Golf Course, is situated within the beautiful golf valley behind La Cala de Mijas. The golf course opened in 2006 and was designed by Target golf team. Today the 18 hole golf course offers a real challenge to all levels of golfing ability which gets you thinking, it’s not just a hit and hope course. It boasts some beautiful sea views. Under new management since the end of 2014 the course has seen some remarkable improvements with its now extremely well kept and manicured greens, it really has seen vast improvement. The new clubhouse has seen some great reviews complimenting the beautiful decked area overlooking the sea and the fantastic atmosphere created by staff along with great wines, beers and food. The highly maintained La Noria golf & resort club consists of a 9 hole PAR 33 course with a combination of Bridges that unite the tees, greens and fairways. Also boasting three magnificent lakes and a river, the course creates an element of challenges for the players. This course is very busy during the market day as the men can play 9 holes whilst the women shop. The course is situated just a few hundred yards from the village of La Cala de Mijas and opened in December 2003. There are 3 beautifully maintained courses at La Cala golf, Campo Amercia, Campo Asia and Campo Europa all of which are situated 20 minutes drive inland from the village of La Cala de Mijas. Campo America was formally known as the north course, it is an 18 hole, PAR 72 course with five PAR 5’s. this course possesses wide fairways and few bunkers this course makes an easier approach for the average golfers. With hilly side slopes and small raised greens, it demands a precise club selection to hit your target. Campo Asia, formally known as the south course is an 18 hole PAR 72. This course has plenty of challenging holes four of which are PAR5s. Mostly respected by the professional golfer for its demanding fairways where driving aim is critical. the 18th hole is the one to spoil your score card. A demanding round of golf even for the Pro. Campo Europa is the easiest course of the three with large greens that are ideal for the less experienced golfers to prevail and learn from. The fairways are generous with water hazards along the way cutting across the fairways over bridges and crossing the river Ojén. If you are interested in other local activities, shops, nightlife, beaches etc. please check out the local neighbouring area guides of Calahonda, Riviera del Sol, Miraflores, Torrenueva, Mijas Costa, Malaga and the Costa del Sol.